Brazil's training session started earlier than expected. The five-time world champions were against the clock as they prepared for their friendly match against Uruguay at the Emirates Stadium in London. With the sun going down around 4 p.m. on a dull November afternoon, they were worried about the absence of floodlights at Arsenal's training ground. Nothing much stood out on the pitch, but off it, the presence of Neymar's son, Davi Lucca, on the sidelines raised eyebrows. The seven-year-old suddenly become the news of the day, especially when he unexpectedly appeared with his father at a press conference after the session. A few weeks later, it became clear that the move was part of an effort within the national team to help restore Neymar's reputation off the field. At the 2018 FIFA World Cup, he had been heavily criticised for his haircuts, dives and avoiding the media. It was time for a reinvention. The motivation was simple. They wanted to show a side of Neymar few people had ever seen: his human side. It was Brazil manager Tite's idea. "When I saw his son there, I insisted Neymar bring him with him [to the press conference] to show...I mean, not to push it, but to show his human side—each of us has one," the 57-year-old explained in November. The PSG forward is regularly criticised for supposedly living in a world apart from everyone else—a place where he relies on his entourage to defend himself from criticism, his own "Neverland." A divisive figure, especially back home, Neymar has historically seldom spoken for himself. He rarely opens up or lets others get a glimpse of what he is really like away from the pitch. As a result, for many, everything about "The Neymar Show" seems superficial. The timing is significant. The second half of the season presents many challenges and potential milestones for Neymar. In the next few months, he will be tasked with spearheading Paris Saint-Germain's bid for a first UEFA Champions League crown; reaching his 100th game for Brazil (he currently has 96 caps and 60 goals); overtaking Zico (66) and Ronaldo (67) to become the country's second-all-time goalscorer behind Pele (95); and winning the Copa America on home soil. "The truth is that Neymar wasn't 100 per cent fit to play in the World Cup and received a lot of criticism for his behaviour in Russia," Ramalho, who has won four Brazilian league titles as a coach, tells Bleacher Report. "And what's going on now? Tite and others are basically trying to help him out with the public opinion. "Inside the dressing room, there has never been any reason for concern. Neymar has always been very easy to work with, well regarded by everyone, a group guy." "Sometimes, people forget that there is a human being behind the player—and he doesn't really show this side of himself often," he says. "Whenever I have a chance while working as a pundit in the national team games, I try to highlight this, mention the amazing work he does with his foundation, give the audience an insight into him. "He has always treated fans well, spending half an hour taking photos with them, far from being a prima donna. I've seen him helping Santos employees, inviting over 50 of them to his birthday party and welcoming them warmly, but people don't get to see this. They only hear bad things." While some of his team-mates headed to David Luiz and Willian's restaurant, Babbo, in the Mayfair area to celebrate Lucas Leiva's wife's birthday and spend the night out before returning to Brazil's camp the following day, Neymar preferred to remain with his family and friends and have a quiet dinner. 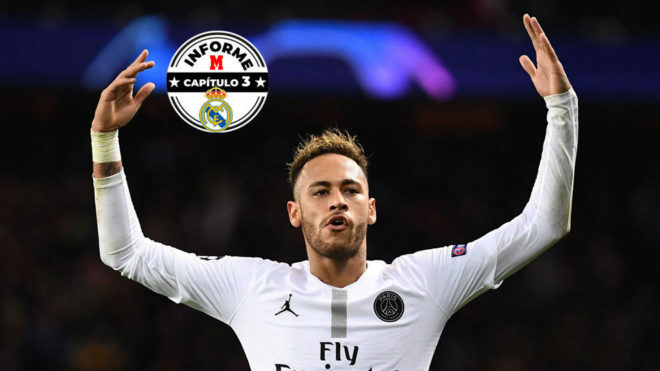 For 1994 World Cup-winning coach Carlos Alberto Parreira, who holds an international record for leading teams to the tournament six times, it's all about Neymar finding a balance. "Neymar can perfectly separate his professional side from this human, more personal one," Parreira said in an interview with B/R. "People ask me if I have retired from football, 'Have I?' I have. Although it remains a very important thing in my life, it's not my whole life. Writing is part of your life, but your life is not only that either, you've got friends, wife, other hobbies. "It's the same thing with Neymar, but, for reasons I can't understand, some people don't get it. He enjoys playing football, but he also likes having his buddies by his side. "As long as it's a balanced situation, I can't see any problem. He always does what the coaches ask him to do, never misses a game, is a very pleasant boy to deal with. I have a deep affection for him. Bringing more of his human side out for others to see can only be positive." Those hoping to see some positive changes in Neymar's attitude got a pleasant surprise during the recent winter break in Ligue 1. PSG manager Thomas Tuchel had given his €222 million man a few extra days off during the hiatus, but Neymar decided to head back to Paris three days early in what would have previously been seen as an uncharacteristic move. "Whatever crisis Neymar and any other player has to face in their careers, they can only restore their images through the ball, not through their mouths," Beting tells B/R. It's safe to say that Beting knows the Brazilian superstar far better than most. Alongside Globo reporter Ivan More, he wrote the player's official autobiography, Neymar: My Story–Conversations with my Father, which has been translated into more than 20 different languages. "Neymar, similar to other footballers of his time, is a pop star. And holds this status on social media. He's always around. He can't do much about it. If Pele played these days, he would be absurdly more in-demand than he has ever been. "Neymar needs to show everybody the nice guy he is. I'm obviously biased, but I'm not the only one who says it. His team-mates, opponents, even those who kick him during the whole game—he gets hacked down more than anyone else in the world—hug him after the final whistle because he's a peaceful man, one of the nicest ones. "He does a lot of amazing things. His work with his foundation is fantastic. And yet you hear people saying, 'It might be money laundering.' What else can you say to convince them otherwise? Neymar does a lot and doesn't speak much. But I don't think he needs to change. Fans will always remain critical—even if he brings the sixth world title home, they will demand more from him." Few stand to benefit more from a refocused Neymar than Brazil boss Tite. The experienced coach has abandoned his captaincy rotation and handed Neymar the captain's armband on a permanent basis again after the World Cup. "Neymar is a technical leader who can also become a behavioral leader. And he has grown up a lot in that way, improved his relationship with you [media]. He's opened up a bit more. I told him, 'Show your human side more frequently.' It's a side we already know," Tite said in a December interview with O Globo newspaper. It's been a nice surprise, even for those who know him closely. "He has never been the kind of player who really cared much about being the leader of the team. He did not pay much attention to these things. You could take the armband off him and he would not complain about it," Ramalho recalls. "He's not one of these stars that demand to be the captain for status reasons." For some, Neymar's father is the one to blame for his son's lack of voice and introspective behavior throughout most of his career. Neymar Sr. tends to take care of every single detail so his son is not bothered off the pitch and can just play his game. His massive influence, however, has been questioned more than once. Prestigious football columnist Juca Kfouri once wrote that overbearing parenting has "prevented Neymar from getting rid of his Peter Pan syndrome, a refusal to grow up." A former lower-league footballer himself, Neymar Sr. has been at the centre of multiple controversies. The latest came after Brazil's game against Switzerland in the World Cup. He was then accused of bringing women into the hotel and having a party. When asked by a Folha de Sao Paulo reporter if he could confirm it, he repeatedly responded that the party was with the reporter's mother. Such stories have led many pundits to suggest that Neymar should follow the path of his friend, Formula 1 driver Lewis Hamilton, and sack his father as his agent. It doesn't seem very likely to happen, however. "It's not easy for Neymar to dribble past his father the same way he does with opponents. It should not come as a surprise since his father has been around since the beginning, making him a better player, teaching him how to shoot and escape from going down," Beting says. "His father is always prepared to defend him, building a shield, a bubble, a dome for him. I think it's understandable and natural to behave like this with a boy that is not spoiled, but so well trained, so well cared, so protected." Beting references a story in his book that shows how hard Neymar's father pushes his son. It came after Santos beat Penarol to win the Copa Libertadores in 2011, the club's first success in the competition since the Pele-inspired teams of the '60s. "The first thing he said to his son was about a ball he had lost," Beting reveals. "That's Neymar's father. He's demanding, super demanding, sometimes too demanding. "If he were only his agent, adviser, tutor, it would already be difficult for Neymar to move away from him; being his dad and considering his importance on his career and everything, it's even more unlikely." Despite all this, Beting argues that Neymar's relationship with his father is "a very positive thing." He adds: "It's no use handling Neymar more autonomy, more of a voice, because he will not take advantage of it. He's like that. He's not one of those who speaks too much; he gets things done." And at the end of day, that's what PSG and Brazil fans will judge Neymar on—can he get things done?